I love learning and I love the internet. The two together are a match made in heaven and I’ve been excited to see the e-learning explosion taking place recently. There is so much I would like to share on this topic and I’m becoming increasingly passionate about it, so I do expect this may well turn into a series of posts! Do you want to learn or teach? If you’d like to learn, the possibilities really are endless. No matter what topic you are interested in, there’s a class for you. Scroll down for just a few places to get started. Do you have the talent to teach? Many of you reading this will have valuable skills others would like to learn. 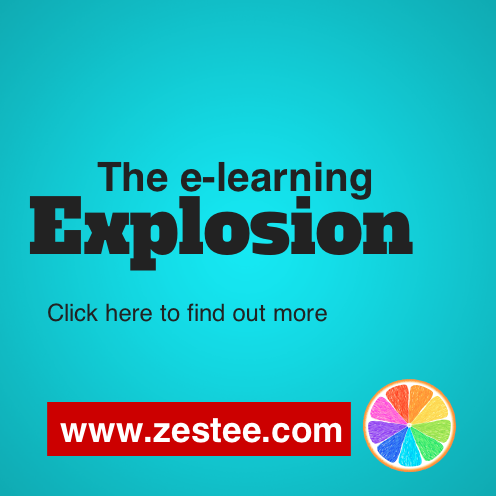 What’s fantastic about the e-learning explosion is that regardless of the topic, it’s giving so many more people the tools to be able to capture this valuable knowledge and teach online. Last year I launched the Zestee Social Media School where I teach business owners how to create and implement a social media strategy. Though I love teaching live classes, I found there were many limitations and challenges. Online learning, or e-learning gives much more flexibility to both me and my students. I have trialled several different methods of delivering core content to students, including via e-newsletters, Facebook and blog posts. Until only recently, for a small business like mine to purchase an e-learning system would have been unaffordable. However that has now changed. Sensei by WooThemes is the elearning system I purchased in June 2013. It was cheaper then, but has since increased to USD$149 for a year of updates & support, which is still within reach for sole traders/small business, especially as it offers the option to be able to charge students for the course to recoup these costs. It’s a WordPress plugin and to set it all up yourself as I did takes some time. It also isn’t without issues (for example, at the moment, my quizzes don’t seem to be running smoothly and I had some problems with a credit card payment via PayPal). However overall, I’d recommend it for someone who would like to teach and create the course themselves. I’ve also recently discovered that other websites such as Udemy and SkillShare allow the opportunity to teach using their own system as long as you comply with their style and format as well as terms and conditions. I’m keen to give this a try and hope to do so soon. Easy Generator is a new one I’ve just found that offers a whole system to create, design and publish a course (or many) in a beautifully presented format that looks really easy to use. I’m going to try out their free trial and after that, they have a free, starter and plus plan. What’s my budget? Courses range from free to a few dollars to thousands. What’s my learning style? Are you visual? e.g. Prefer videos to text? What’s the reputation of the organisation/person offering the course? Check out the “about” section and perhaps other student testimonials and do some research before paying money. Many will give a free introduction or trial. Ignore any emails promising a degree or PhD in next to no time online – thats a scam! How much time can I dedicate to study? Like a gym membership, once you sign up, you still have to put in the work to get results. What exactly am I paying for and what are the learning outcomes? What can you expect during the course? Again, I think there is a whole series of blog posts I can develop here, but that should get you thinking. Awesome range of short classes for business, design, technology and photography type topics at really reasonable prices. Right now, I’m doing a class by business guru Seth Godin for only USD$10!!! By clicking on this referral link, you’ll receive a $10 discount for the first paid class you sign up for (and I’ll receive a $10 credit for further study). A huge range of topics. I am about to go and sign up for one when I finish this blog post! I just missed out on a special they had where a lot of courses were only $10 each, but sign up for their enewsletter and you may get future offers. Gorgeously presented live workshops you can watch for free as they are recorded and then if you want to rewatch (or see earlier ones) you can purchase them. Really high quality content at fairly reasonable prices with some big names in the Photography world and now expanding more into business and lifestyle. I’m going to finish this post here so I can share it, but there are so many more ideas and resources bubbling away that I will capture in further blog posts soon! To keep up to date, sign up for our enewsletter on the right.